Compare to iOS and Windows Phone, Android UI is a bit difficult. 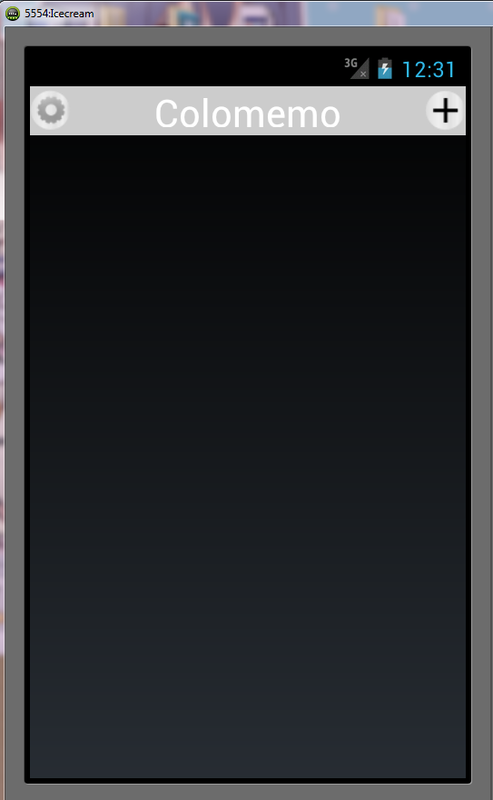 By the way, Android doesn’t have iOS like UINavigationBar. In this step, I put parts and add several properties before managing by code. This haven’t completed to arrange correctly. This is frame to manage UI by code. The point is LinearLayout. Create 36dip LinearLayout for bar. And I arranged UIs inside of this. We don’t need ActionBar if we use this. Here is a entry to hide ActionBar. This step is to arrange UIs correctly according to display size. This is a great inspiring post.I am quite significantly pleased with your great perform.You put truly extremely helpful helpful details. Preserve it up. Keep running a blog. Looking to studying your next post. Very well written post. It will be helpful to everyone who employess it, including me. Keep up the good work – can’r wait to read more posts.